Bear Market : Blog Of The Nation Bye, bye, Bear Stearns. Hello, bear market. 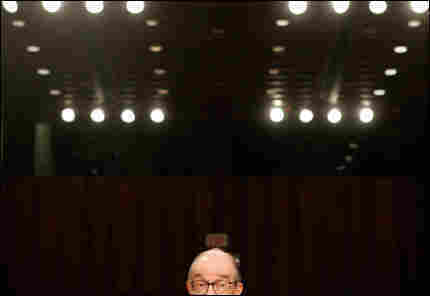 Remember how comforting Alan Greenspan's testimony used to be? I miss those days. The current financial crisis in the US is likely to be judged in retrospect as the most wrenching since the end of the second world war. C'mon, Alan! You're killing me, buddy. Where is the optimism? The confidence? The characteristic impenetrability? In the first hour, we'll talk about what the Bear Stearns collapse means for Wall Street. And for your wallet. Mark Zandi, of Moody's Economy.com, and Sam Hayes, of Harvard Business School, will join us, to parse and posit. If you have a question about the economy, no matter how basic, leave it here.